Mark Barrott - Nature Sounds Of The Balearics. Vinyl LP. Bleep. Mark Barrott - International Feel boss, Talamanca System member and ‘the master of sunset music’ - drops a new LP on his mate Gerd Janson’s Running Back label. 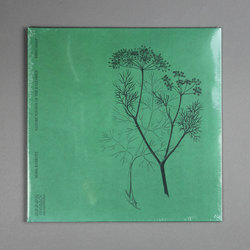 Nature Sounds Of The Balearics is not, as one might suspect from its title, a collection of field recordings. However, this LP does mix in some found sounds with a chilled take on the grooves that have pretty much become a natural sound on the Balearic islands over the past few decades. Barrott describes this as his techno album, and the influence is certainly there on tracks like ‘TRIX’ and ‘Ichimoku’. However, there are also strong strains of new age, downtempo and - of course - Balearic house here.